Odisha Power Transmission Corporation Limited (OPTCL), released the notification for the recruitment of Office Assistant Grade III (Trainee). Recruitment test will be conducted for the candidates seeking job opportunity in OPTCL for the concerned post. Eligible candidates could apply as per the available vacancies through the official website of OPTCL i.e. www.optcl.co.in. Before applying, candidates must have checked the eligibility criteria. For all the relevant information regarding the recruitment process, the candidates can refer to this page or the official website. Latest: OPTCL has released Final Cut Off Marks & Score for Office Assistant Grade III (Trainee). Scroll down to check the same. The information related to OPTCL Office Assistant Grade III (Trainee) Recruited is available on this page. Candidates can check the eligibility criteria before applying for the Office Grade III (Trainee). The candidates who appeared for the Computer Based Test for the post of Office Assistant on February 03 and 04, 2018 can check the final CBT score for the same from the official website or the direct link provided here on this page. Click Here to check Final Score. Click here to check the score. Selection process: Selection will be based on Computer Based Test (CBT) and Skill Test (Practical) in Computer Application. Training: The training will be for a period of 1 (One) year, unless and otherwise extended. Stipend: Office Assistant Grade-III (Trainee) shall be paid a consolidated stipend of Rs. 8000/- per month during the period of training. Pay Scale: On successful completion of the training, the candidates will be appointed as Office Assistant Grade-III in Skilled – A Category in the unified cadre on probation for a period of 1 (One) year in the Scale of Pay of Rs. 5,200 – 20,200/- plus Grade Pay Rs. 2830/-(Pre-revised). 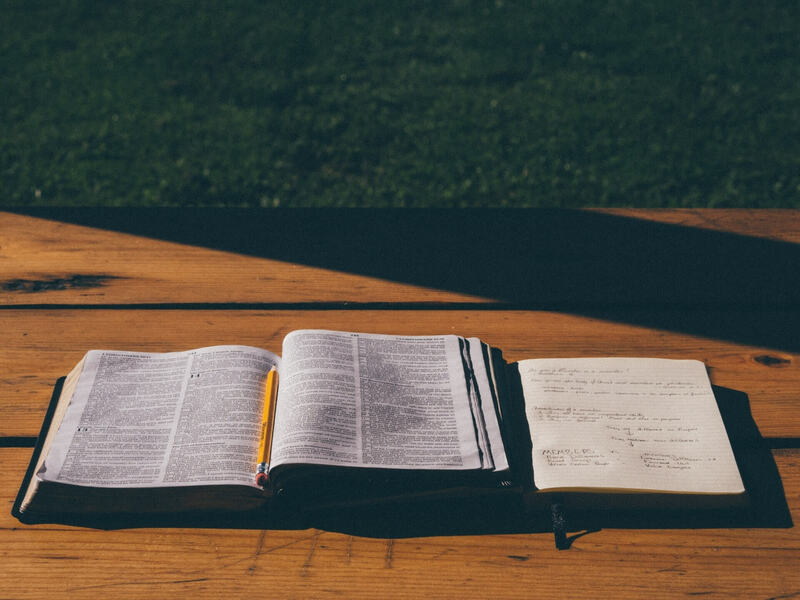 A candidate must possess a Bachelor’s Degree in any discipline from a recognized University or possess such other qualification equivalent thereto. 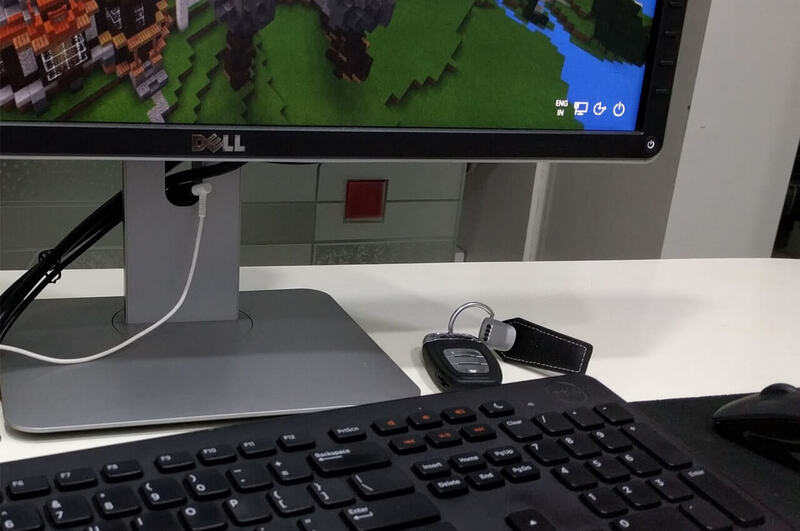 Candidate must have adequate knowledge in computer applications. Candidate must not be under 21 (Twenty One) years and must not be above the age of 32 (Thirty-Two) years as on November 01, 2017 i.e. he/she must not have been born earlier than November 01, 1985 and not later than November 01, 1996. The Upper age limit relaxable by 5 (Five) years in case of SC, ST, SEBC, and Women candidates and 10 (Ten) years in case of PWD candidates. 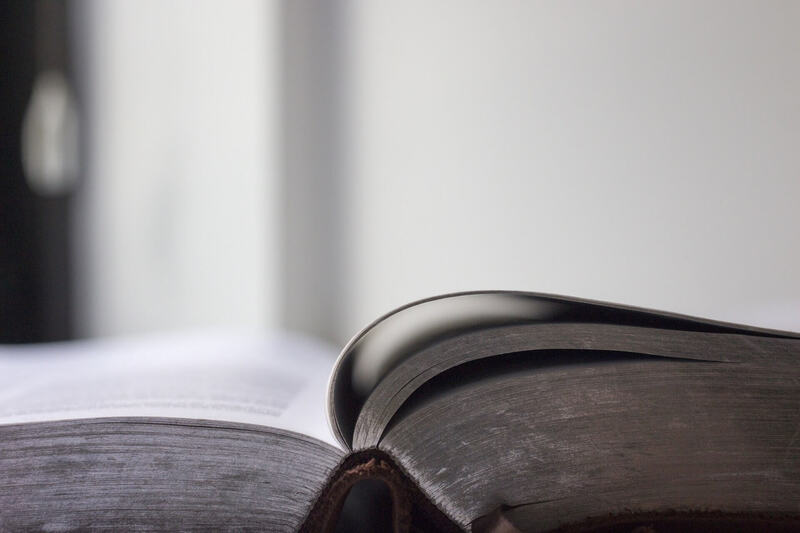 The date of birth entered in High School Certificate Examination or Equivalent Certificate issued by concerned Board/Council will only be accepted. Eligible candidates need to fill the application form for the OPTCL Office Assistant Grade III (Trainee) which is available on the official website i.e www.optcl.co.in. The application form is available in the online mode only; no other mode is allowed to the candidates. Candidates need to register themselves on above-mentioned websites. Candidates need to fill in the application form with the correct details along with the uploading of scanned images of photograph and signature. After filling the form, the candidates are required to pay the application fee through online mode using debit/credit cards/Internet Banking. Lastly, the candidates need to take a printout of the E-receipt for the future reference. For On-line payment mode (Through Debit/Credit Card/Net Banking): In case of On-line payment mode, you will be redirected to payment gateway page under Tech Process. After completing the On-line payment, you have to take hard copy of the application form along with Fee Receipt. Please retain the hard copy and proof of payment for future reference/record, in the event, you will be selected and called for verification of original certificates/testimonials. Off-line payment mode: For Off-line payment mode by ICICI Bank Challan: Please print the challan format in the on-line application. Submit the challan in any ICICI branch. Keep the OPTCL copy of challan for your reference/record. You shall be required to submit the OPTCL copy of challan, in the event you will be selected and called for Personal Interview. Login to revisit the site after 24 hours of making the challan payment and take the printout of the application. Before filling up on-line Application, candidates shall read and understand the contents of the Advertisement, Instructions to fill up On-line Application and Frequently Asked Questions (FAQ) documents available on the OPTCL website: www.optcl.co.in. Candidate shall upload the scanned copy of original documents. Recent colour passport size photograph and signature in prescribed format(.jpg/.jpeg). for the closing date to avoid last hour rush. The candidates need to download their call letter by entering their registration number and password/date of birth, from the official website. Intimation/call letter for the interview has been uploaded on the official website. Candidates are required to download their call letters respectively. appropriate place in the Online Application Form. The request for change of centre shall not be entertained. Eligible candidates will be called for Computer Based Test Comprising Multiple Choice Questions (MCQs) from English (30%), Computer Application (15%), Mathematics (15%), Reasoning and Mental Ability (20%) and General Awareness (20%). The CBT will be of Three (3) hours duration. Reservation of post including reservation for women will be as per the ORV and other applicable Acts and Rules of Government of Odisha. 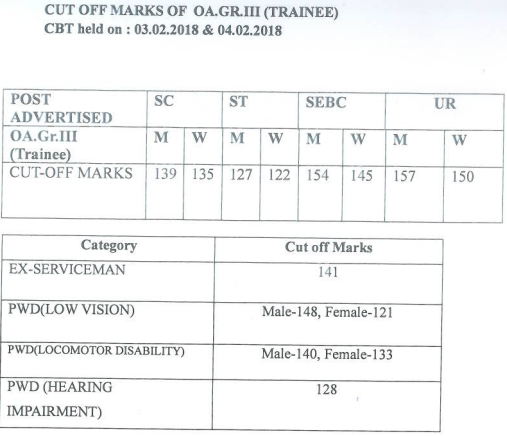 PWD Candidates, whose disability is not less than 40% (forty percent), are required to attach Disability Certificate indicating a percentage of disability & type of disability issued by the concerned Medical Board for consideration as per Rules. Ex-Servicemen are required to attach copy of Discharge Certificate issued by Competent Authority. Concession meant for SC, ST, and SEBC by birth are admissible to the Schedule Castes, Schedule Tribes and Socially and Educationally Backward Classes of Odisha State only. Candidates belonging to SEBC category shall submit their SEBC certificate validated/renewed by the competent authority on or after November 01, 2014 failing which they shall be treated as Unreserved category candidates. 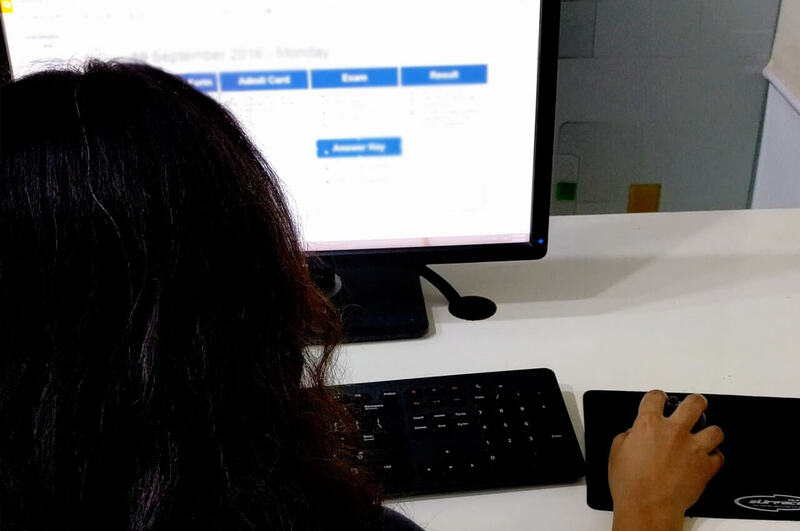 The selection procedure involves Computer Based Test (CBT) and Skill Test (Practical) in Computer Application. 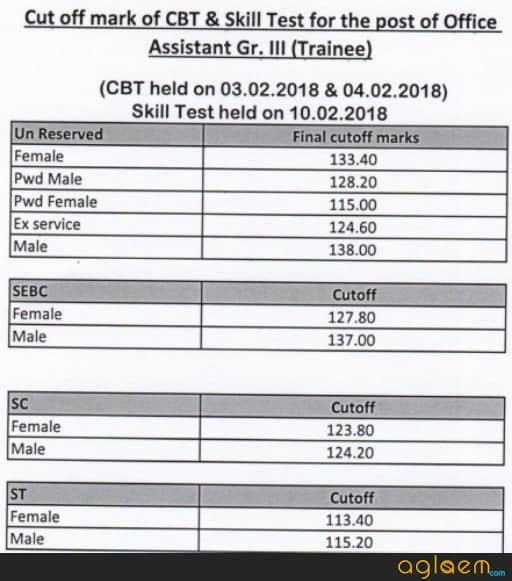 Candidates who qualified in CBT and be shortlisted will be called for Skill Test in Computer Application within prescribed criteria. The offer for Appointment shall be issued to the selected candidates on the basis of merit. However, the final appointment of selected candidates will be subject to their medical fitness as per prescribed standard. On selection, they shall be posted at any of the offices of OPTCL throughout Odisha/India.